Take control of your day with Postbox's super-customizable interface. Make your email work for you, just the way you need it to. "Nice features but display issues with HTML email"
I like the interface and ease of use I know this is not the latest design or do not attract much users like current market is moving forward to nice looking interface but i am ok with that old kinda look Easy to use on day to day basis. "I like the postbox BUT"
I like the interface and ease of use. I know this is not the latest design or do not attract much users like current market is moving forward to nice looking interface but i am ok with that old kinda look. When macos new update came out postbox was already being updated and with the latest release of macos i was able to use it right away on updated operating system including new macos dark theme features. Postbox looks awesome in dark mode and does not matter which ever theme version i use it work flawlessly in all modes. Postbox Company have done a great job since they released latest version. Right now i do not find any issues postbox and i love the way postbox sync emails instantly. Sometimes use too much memory. Postbox 6 do not have 3rd party plugins feature which is good for security but removing plugins for security also removed many features. Most importantly PGP Encryption / Decryption ability which was one of unique feature in postbox in last versions. I would like to ask postbox to bring back the pgp function in their email client. Well it allowed me to use my 30+ email addresses at once. Being an old user of postbox whenever they release a major version upgrade they want users to pay again. now they release version 6 and everyone paid and this time they told we do not have to pay again for any upgrades so i hope they will stick with their promise. What Other Email solution do you use? "Powerful product to geek out on but a flaw in how they handle POP3 accounts"
Message filtering, organization, topics and color-coding feature, favorite addresses feature, tabs. I don't think they put enough thought into the power user that receives mail for multiple POP3 accounts through one POP3 server and then when the user no longer owns one of the domains they want to turn off the receiving of that particular POP3 account BUT not lose the mail he's received over the year. UGH! Very, very frustrating. Be VERY careful when removing an account under your profile. When Postbox says it will be removing data, they do mean ALL your previous received POP3 emails and not just account data like connection settings. This is not like Outlook where it's hard to delete a PST file without physically deleting the .PST file. Organization of multiple business efforts and separate web projects. "Postbox is the best cross-platform email client application I have used." I initially tried it because my Outlook application was getting super slow and couldn't handle my email archive history. I gave Postbox a try and it had a nice import from Outlook function which made things seemless. The support is good and they have been responsive anytime I have any issues. Postbox has a free trial and is very easy to connect to existing email accounts. It also has the ability to import email from other email clients. Postbox allows me to consolidate multiple email accounts and organize, manage, and archive key emails locally as needed. I have recently (within a few months) switched email applications from Mozilla Thunderbird to Postbox. Initially, i favoured Thunderbird for the customization of the appearance of the program, being able to customize the skin/colours, made it easier for me to quickly identify the various parts to the email program. Having used Postbox solely for the last while, It is easy to see how much more intuitive and powerful Postbox is, compared to Thunderbird. I use exclusively Apple products (iPhone, iMac desktop at work, MacBook at work, iPad, etc) and Postbox is the perfect fit. It learns your 'junk' settings and has so many more features to increase productivity. EMAILS! Today, emails have become a stressful, anxiety inducing part of my job. Constantly inundated with emails, it is a full time job sifting through and prioritizing each email, and ensuring nothing is missed. Postbox solves this by assigning priorities and creating lists, hidden from your 'inbox' view - but still there with a click of a mouse as to not be missed. Everything in Postbox just works, and it's way easier to set up. I have absolutely no issues separating my mail or setting up custom signatures. Sometimes Postbox has issues with Security Certificate Exemptions if the email domain isn't registered to the exact name it displays. Read through the documentation, and definitely use the trial version before paying for a license. The application is easy to set up, it's easy to use, and it runs pretty well with only a couple of small quirks. Overall, it's a huge improvement to the mail app world. I have about 6 different email accounts that I use, and Postbox has done a great job in helping me keep them separate. I never have any problems with lost mail, and it makes conversation tracking way easier than in other email programs I've used over the years. Nothing. I hate this email client. But I have too many mails in the archive now and don't dare to switch to another client. I have big problems with their rude archiving function and cannot find back my mails all the time. I now use specific tags on the bottom of mails I sent so I can find them back! Very difficult interface. I cannot archive mails in folder structure which is what I want unless in a very tedious timeconsuming way. Now I have toput all mail into the archive. And this archive has the worst Search function ever. If I type the name of a person I mailed with or even the exact email address, I do NOT GET all the emails. I get only the ones he sent me. But not the ones I sent him !!! I frequently have trouble finding mails back. Important mails. I can send and receive mails. Thats it. Actually, it the function to send mails even stopped working, so I now send them online and can only receive with Postbox. Once received, I can only move them from Inbox to the one BIG ARCHIVE. Great! "Since transitioning to a Mac, this has been the best mail provider I have used." It's extremely user-friendly and essential mimics Outlook, which I was accustomed to using on my PC. It keeps track of email threads, without doing it in a confusing way (such as how Gmail does it when using an internet browser). There is honestly not much I dislike. It was hard to find certain things, such as how to make emails "high-importance", but our IT team was able to help me out with that. If you are switching from a PC, HIGHLY recommend using Postbox. Every other program will be confusing and will most likely slow down your computer. It allows a user to transition from PC to Mac in a very efficient manner. "Finally a decent email option for Mac"
For those who have worked with enterprise level Outlook on a PC and have been unhappy with Mail on Mac, this is a great option. One has the ability to have multiple email accounts running, create folders, create folders that reside only on your Mac, have different signatures, etc. When you use multiple email accounts and folders, it is not always easy to drag and drop email into a folder. However, you can right-click and move it anywhere, so not a huge problem. It is such an easy purchase and they continually update and make improvements. Managing multiple email addresses, folders, signatures, and more. "Beautiful Inbox Management - Excellent alternative to Apple Mail"
I like the more robust functionality of Postbox as compared to Apple mail. I also find that Postbox fetches my mail much quicker than Apple mail, even if they are on the same fetching schedule. I don't like the issues Postbox sometimes has communicating with Gmail servers. There have been documented issues between Gmail and Postbox, I haven't had to deal with it directly, but from what I understand the issue has been solved. There are many options out there for email clients. 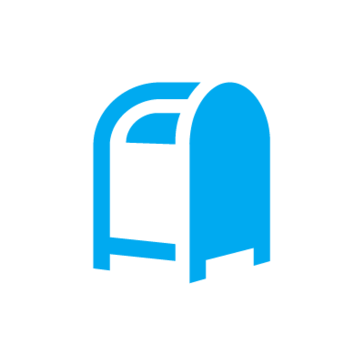 Postbox is a good, solid choice with a few bells and whistles, but most importantly, it works. I'm more in control of my desktop inbox, and I'm able to sort and label email more efficiently. I can utilize my Gmail labels within Postbox, and the integration with Evernote is handy. "The email client I actually enjoy using"
It's full-featured without being bloated. I find it to be intuitive, speedy, and powerful enough for fairly heavy usage. I would like to see a better template system for stock responses, and the spam filtering sometimes catches too many legitimate emails. As with any email system, decide on your filtering and filing system before you start to use it extensively. I wanted a full-featured email client that is cross-platform (Mac & PC) and which did not hog my RAM. Postbox does all that and makes dealing with a lot of email easy. "Good normally but appalling at archiving "
Good clear interface and easy set up. Easy to use on day to day basis. Back up is non-existent and archiving is so poor it cleaned out my server without warning leaving me with a text file of incoming messages which is pretty useless as it also contains all the associated data needed for sending and receiving. I use it everyday, the interface is good, it has a lot of options which I do not use but so far is a very decent email client for Mac. It is an expensive license and slow sending emails. My daily email delivery and receiving. It keeps things simple and organized. Love the keyboard short cuts!! I like it better than outlook! I don't really have any dislikes about PostBox. It's been an excellent tool! Outlook doesn't work very well on a mac...I don't think anyway...PostBox is a savior! "Postbox is very stable handling multiple different email accounts"
The ability to manage numerous email accounts on different settings with no delay in sync. Picture manipulation within messages is still not as good as native Mac apps (eg. drag and drop from other apps) and also search is also not conclusive. Managing multiple domain emails within one system and being able to create and file email better. * We monitor all Postbox reviews to prevent fraudulent reviews and keep review quality high. We do not post reviews by company employees or direct competitors. Validated reviews require the user to submit a screenshot of the product containing their user ID, in order to verify a user is an actual user of the product. Hi there! Are you looking to implement a solution like Postbox?